Basalt is a volcanic igneous rock with a crystaline structure. It forms when lava rapidly cools. 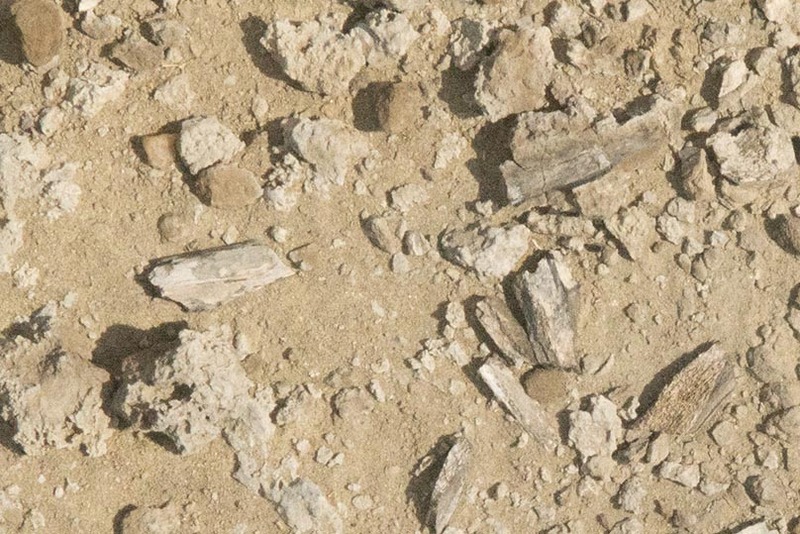 It can be hard to distinguish from sandstone, especially when weathered, as certain types are lighter brown in colour. 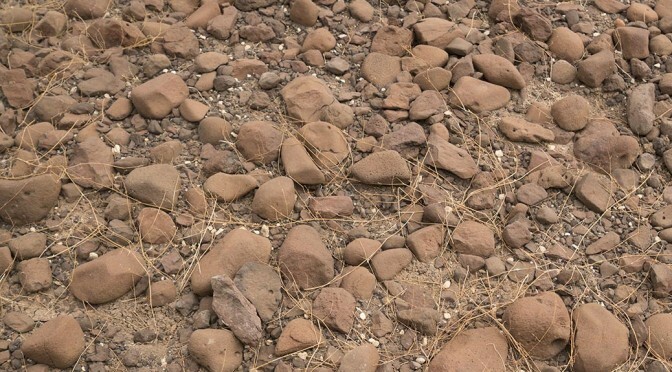 However, its crystaline structure and hardness mean that broken pieces retain sharper angular edges than sandstone and it has a more reflective look to it. The crystaline structure can often be seen on broken surfaces. 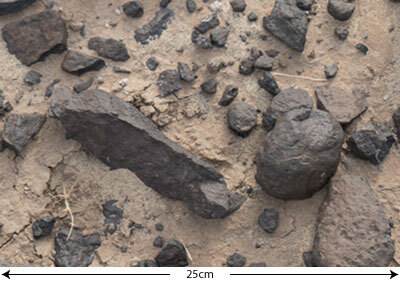 Basalt is often quite black in colour but can be different shades of brown. We arrived yesterday in Ileret and the first thing we just had to do was to see if we could relocate finds located by our beta testers from the images we collected last season. This is an excellent result and means that our method is working! 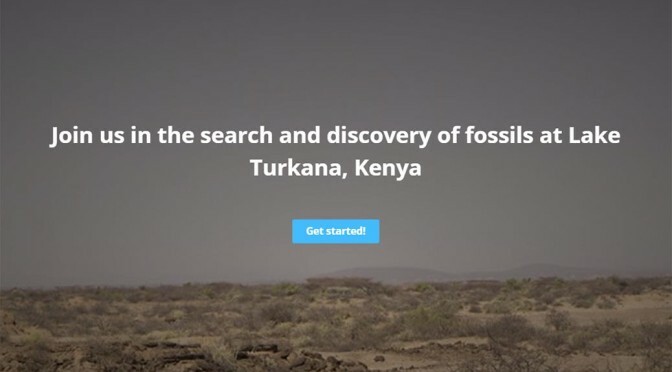 We have a preview of the fossilfinder-zooniverse website up and running and would welcome feedback while it is in beta. 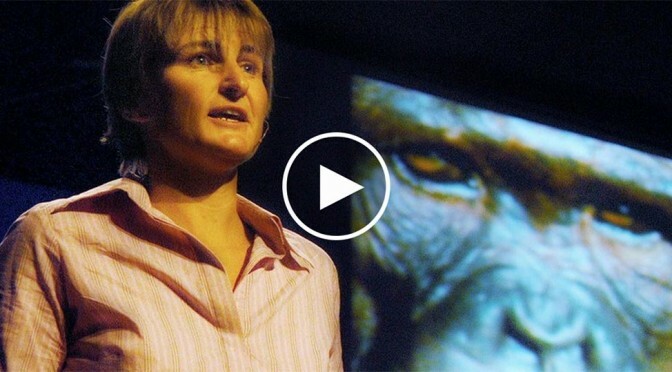 Please go take a look! 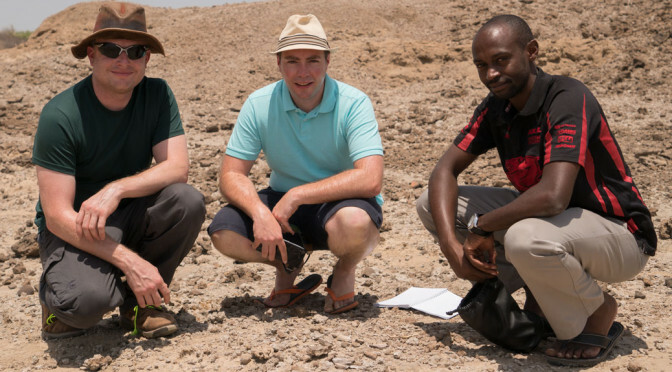 Be a real part in ongoing research exploring fossil bearing landscapes in the Turkana Basin in northern Kenya. 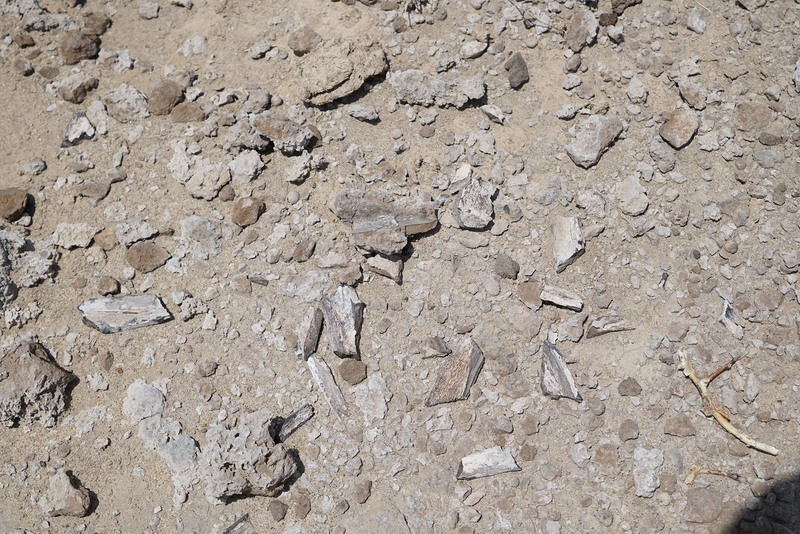 Here we ask you to help us document what is seen on surface images, including fossil fragments and other artifacts, to assist us in reconstructing past landscapes and environments. More eyes, more information, more discoveries. 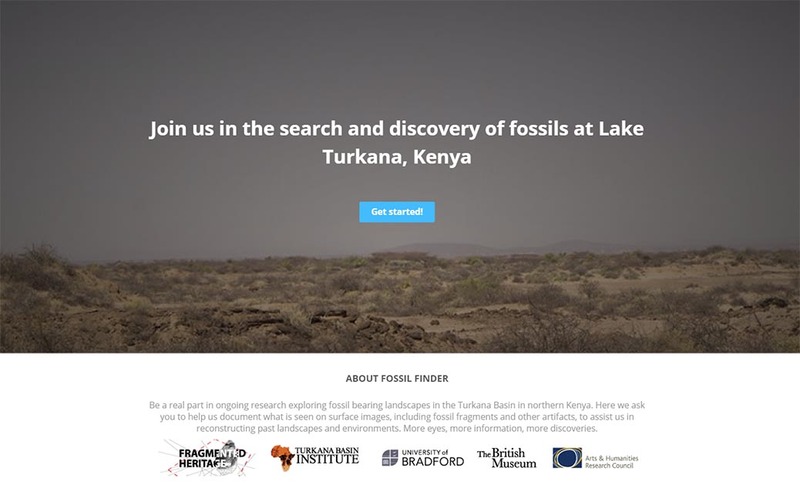 The University of Bradford has teamed up with the Turkana Basin Institute to bring Fossil Finder to you. 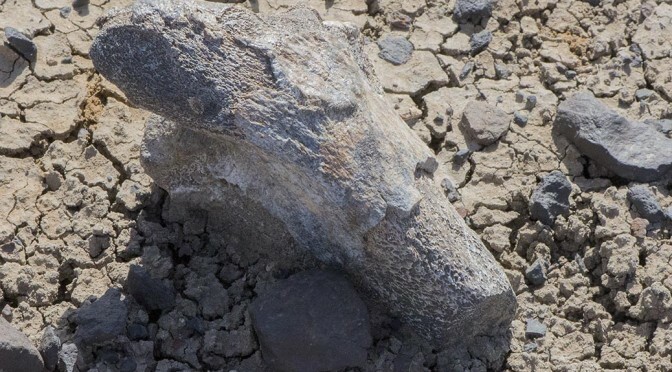 We need your help and keen eye to assist in the identification of surface geology including fossils and cultural remains from the fossil bearing deposits at Lake Turkana in northern Kenya. Everybody involved will be a meaningful and valuable member of the team. 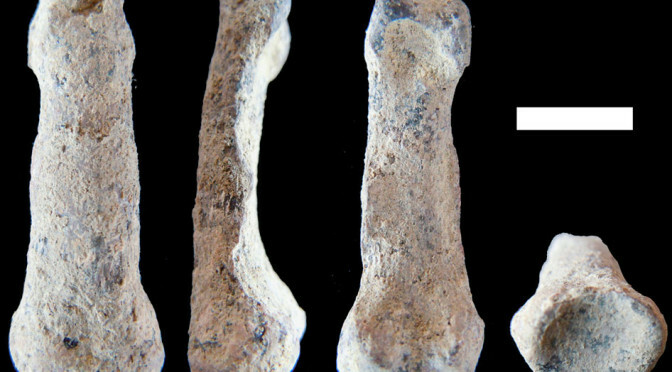 Fossil Finder forms part of the Arts and Humanities Research Council funded Fragmented Heritage Project.